Real Madrid are considering the French market to find an alternative to Arsenal midfielder Edu. Edu's personal demands have priced the Brazilian out of a move in January to the Santiago Bernabeu. Instead, Real are now studying the French transfer market and have Mikael Essien of Lyon and Lens powerhouse Alou Diarra both in their sights. 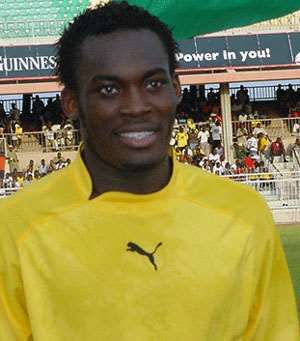 Ghana ace Essien, 22, can play through the middle and also on the right-side of midfield. He is Cup-tied to the Champions League this season. Diarra is on-loan at Lens from Liverpool and has been one of the great revelations of the Ligue 1 season in France. Like Essien, Diarra can also play at the back and is the sort of defensive midfielder that Real are desperate for.